Waverly, Ohio was founded 1829 along the Ohio-Erie Canal which passed through Waverly along US 23 and portions of it can still be seen in Waverly today. Canal Park in Waverly is dedicated to this historic period of our country growth. Home to the Waverly High School Tigers and the Garnet A. Wilson Public Library, Waverly is a beautiful small town with a focus on education and a strong sense of community. Waverly is also the home to the family friendly "Jingle Bell Weekend". A late November community event featuring a 5K Run, Holiday Craft Show, Quilt Show, Chili Cook off, Kiddie Pedal Tractor Pull, Luminary Parade, Meet Santa and Friends, Wine tasting and Art Exhibition. Do you have a need for heating and air conditioning services in Waverly, Ohio? Then you have come to the right place! Since 1977, homeowners and businesses in Waverly and throughout the 45690 zip code have come to trust Accurate Heating and Cooling with all their heating and cooling services. We are experts in affordable Waverly heating and cooling services. Accurate Heating and Cooling is a company which works with customers throughout all of Pike County and surrounding areas to supply complete air conditioning and heating services such as heating installation and replacement, heater repair and maintenance programs, air conditioning system installation and replacement, as well as A/C repair and maintenance. We have detailed and complete understanding of forced air systems, ductless split heating and air conditioning, furnaces, heat pumps, thermostats, zone control systems. Contact our knowledgeable team today and let us assist in repairing your Waverly, Ohio HVAC problems fast and with all professional kindness. At Accurate Heating and Cooling, we provide all your furnace service needs, from furnace installations and replacements to fast repairs. To ensure your gas or oil furnace is ready for the winter season, call on our knowledgeable and certified technicians can assist you with furnace maintenance services. Do not let the summer heat get you down in Waverly Home! If you need a new air conditioning system or repair, Accurate Heating and Cooling is here to help. We can provide all of the residential or commercial air conditioner services you may need; from air conditioner repair and air conditioner replacement to air conditioner recharging and air conditioner maintenance! 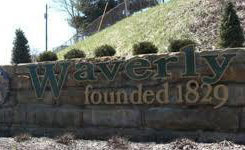 You might believe the air quality in your Waverly home or business is better than the outdoor air. But, if you find yourself going about your day with itchy eyes or sneezing, you might be mistaken. The U.S. EPA has estimated indoor air can be between 2 to 5 times more polluted than the outdoor environment. Prompting the EPA to rank indoor pollutants as a top five environmental health concerns. If you suspect the indoor air quality in your Waverly Home is poor, Accurate Heating and Cooling can help you. We offer indoor air quality services such as sales and repairs on air cleaners, whole house air purifiers, and humidifiers, as well as UV germicidal lights and installation and filtration system replacement. Our specialized indoor air quality products and services ensure each of our valued customers can breathe cleaner indoor air no matter where they are located in their Waverly home or business. Just about every Waverly, Ohio homeowner at one time or another has experienced a power outage. Whether caused by bad weather, high winds or a lightning strike, a power outage can knock out your heating, cooling and cooking sources, and even lead to spoilage of food in refrigerators and freezers. At Accurate Heating and Cooling, we sell, service and install home back up generators. Our skilled power specialists can show you a selection of high quality, recommended home power generators which will meet the needs of your Waverly Home. With a home generator from Accurate Heating and Cooling, your power will kick back on in mere seconds after an electrical outage, keeping your lights, heating and cooling system, refrigerator, security system, healthcare equipment, and other electronic devices running. Protect your family and investments! Call us today for more information.